New evidence supports expanding the age range of the population that should receive skin care counseling. A new US Preventive Services Task Force Evidence Report is suggesting that greater efforts are needed to educate children and young adults with fair skin about risks of sun exposure. The report, which was published in JAMA, found that behavioral interventions can increase sun protection behavior. However, it also found there is no consistent evidence that interventions are associated with a reduction in the frequency of sunburn in children or adults. The report found there was minimal evidence on skin cancer outcomes when examining interventions. “The Task Force found that primary care clinicians should counsel anyone who is 6 months to 24 years old and has a fair skin type on how to protect themselves from the sun. For adults older than 24 with fair skin types, clinicians should consider the individual’s risks for skin cancer when deciding whether or not to refer them to counseling,” said Task Force member John W. Epling, Jr, MD, a professor of Family and Community Medicine at the Virginia Tech Carilion School of Medicine in Roanoke, Virginia. The Task Force’s last recommendation on this topic was released in 2012. New evidence has emerged since then that supports expanding the age range of the population that should receive counseling. 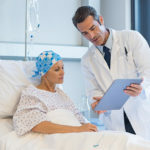 “We were pleased to see that behavioral counseling can potentially help even more people than we originally thought,” Dr Epling told Oncology Nurse Advisor. The researchers searched the Cochrane Central Register of Controlled Trials, MEDLINE, and PubMed for studies on skin cancer published from January 2009 to March 31, 2016. A similar search was conducted for skin self-examination from August 2005 to March 31, 2016. Two reviewers independently examined 2311 titles and 372 articles to assess specified inclusion criteria. A third investigator was consulted to help resolve discrepancies and articles were excluded if they did not meet inclusion criteria or were rated as poor quality. The analysis included 21 trials in 27 publications with a total of 20,561 participants. There were no studies that assessed skin cancer outcomes in pediatric populations. The analysis showed that 1 adult trial, which promoted skin self-examination, found no significant difference in participants with melanoma diagnoses in the intervention group compared with the control group at 12-month follow-up. In addition, there were no consistent improvements in prevention of sunburns. This was true in 3 pediatric trials with 2508 children and in 6 trials with 3959 adults.